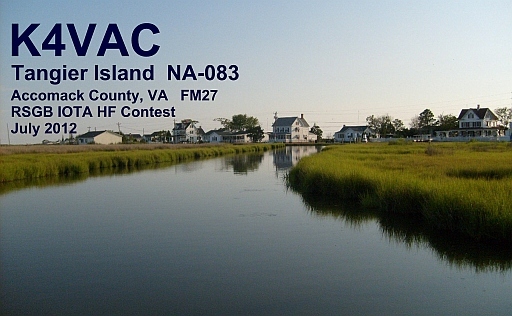 Members and friends of DDXG will again travel to Tangier Island on the weekend of the RSGB HF IOTA Contest, but with a slightly different emphasis. The club will participate in the contest, but will be there primarily to activate NA-083. This means that we will be QRV on Friday, shortly after our arrival. DDXG will run a separate log for the contest and may revert to the earlier ‘activation’ log after it ends. Please look for K4VAC on the bands!